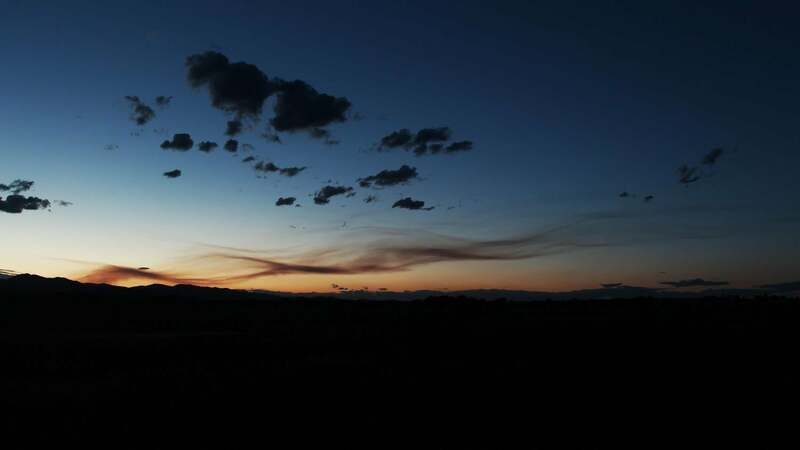 Wavy clouds over the Rocky Mountains mark gravity waves. Correction, Oct. 29, 2016: In this post, I note that I wasn’t sure these could be cirrus, and they were odd. 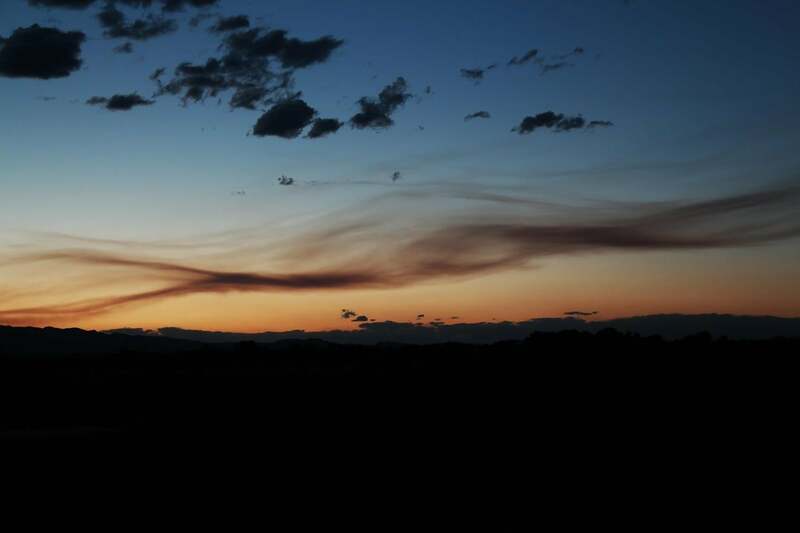 On Twitter, Kenny Pratt pointed out to me that these are not cirrus clouds, but the plume from a fire! Sure enough, the Beaver Creek fire was raging to my northwest when I took this picture, so that’s clearly what these clouds are. The part about gravity waves is almost certainly still true though, and is what is shaping this plume. Rather than rewrite so much of the article, I’ll leave it as is, but note my initial assessment was incorrect. While I’m not happy these clouds were from a huge fire, I’m happy to be corrected and to learn new things. I couldn’t see from where I happened to be, but I had my camera with me, so I made my way around some trees and turned north. I never, ever tire of watching the amazing clouds that form over Colorado. Click to ennebulenate. How lovely is that? The Sun had just set and it was getting dark. These long streamers of clouds were low enough to be out of direct sunlight, so they’re silhouetted against the sky. The wavy appearance is real, and is due to air flowing from the west over the mountains. It rises up over the obstacle, cools, then sinks. As it sinks, it warms up, becomes buoyant and rises again. It’s still flowing east as it does this, so it creates a waving stream of air bobbing up and down (these are generically called gravity waves, and since it’s downwind of the mountains these in particular are lee waves). Sometimes this can result in striped clouds that form along the wave crests. In this case, though, the cloud is continuous and not broken up into ripples. I can’t be sure, but I’m guessing these really are cirrus made of ice crystals. If that’s the case, then there’s no water vapor to condense and form the clouds at the wave crests; the ice crystals formed to the west and were carried east along with the oscillating current of air. A closer view of the clouds. There may be one broad wave with several cirrus clouds sheared along its length, and we see them superposed on each other. Again, I’m guessing, but this seems likely. Interestingly, the puffy knots of cumulus clouds in the foreground are not showing any of this pattern, so they may be too low to be affected by the gravity waves higher in the atmosphere. I’ve never seen clouds over the Rockies behaving quite like this before, and it makes me wonder: Does the air do this all the time, but we just can’t see it because no clouds form to reveal it? Or is it truly rare, with many circumstances having to be just right to make the invisible visible? It reminds me of another type of cloud. If conditions are just so, the rising air over the mountains can form lenticular clouds, lens-shaped clouds that look a lot like UFOs (or Star Destroyers) hovering over the landscape. We get those a lot around here in Colorado, and they’re very cool. I know not everyone is as enthralled with clouds as I am, but honestly, sometimes they’re just so pretty. The ones I saw here stretched over a good piece of the sky, and together with the gorgeous sunset colors I found them to be enrapturing. I find the science equally compelling, so honestly, how can I resist sharing them with you?